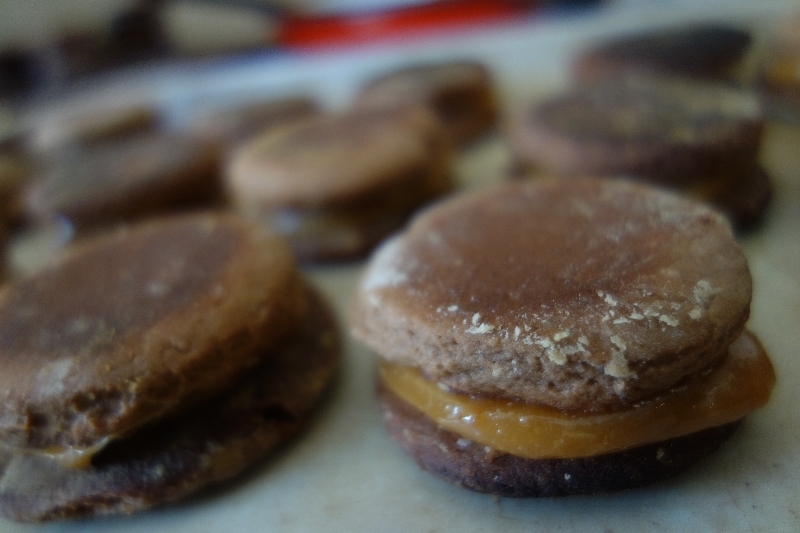 And the compliment is not worthless: the alfajor is THE Argentinian pastry! So how could we resist ? 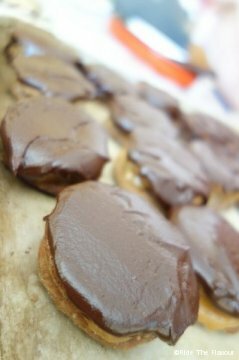 Daniela made ​​us discover the alfajores “Capitan del Espacio”, and it is also with her that we cooked to try to equal them! 1) Pour the milk into a saucepan and bring to a boil over medium heat. 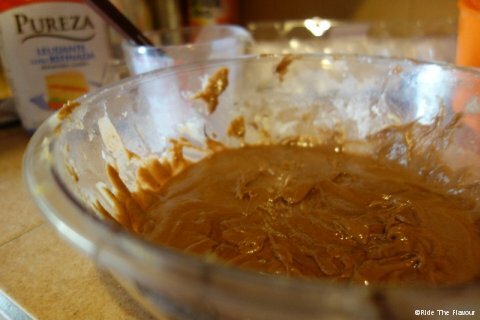 Then add the sugar and stir with a wooden spoon to avoid lumps. 2 ) Then add the vanilla extract and baking soda. 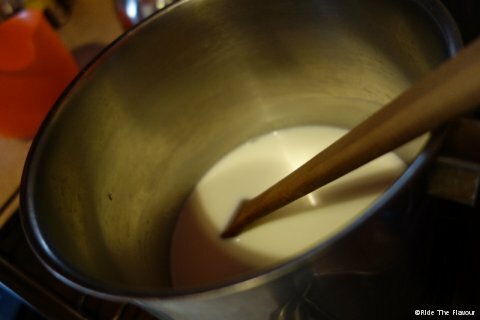 From there you must constantly stir, the milk will gradually color and get a thicker consistency . 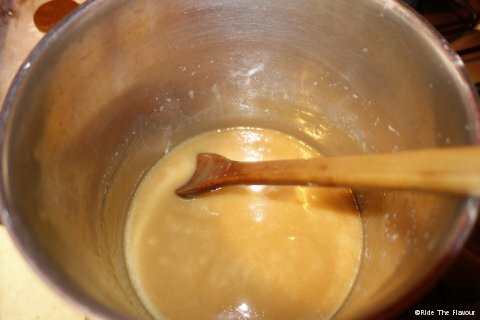 3) After a while , the preparation is more like a caramel color , but still liquid. Dulce de leche is ready when it is thick and it sticks to the spoon. When this is the case, remove it from heat and let cool down. 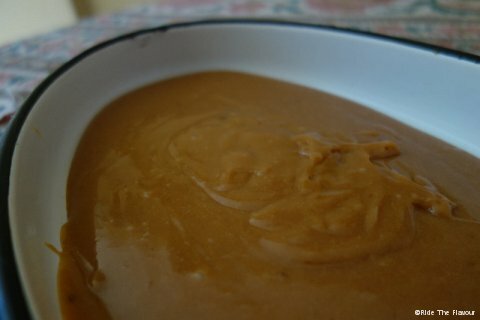 Here you are, Dulce de leche is finally ready ! Do not worry the rest is much faster to do. 1) Mix in a bowl the butter, sugar, eggs, honey, cocoa, flour and vanilla extract . You must obtain a homogeneous dough. 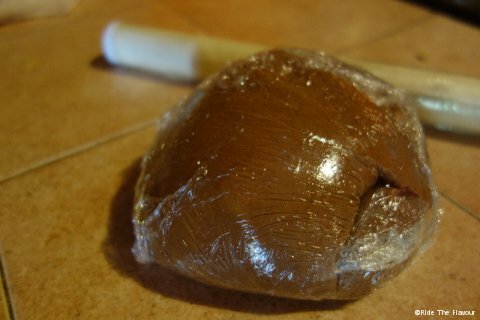 2 ) Then wrap the dough in plastic wrap and place in the refrigerator until it is cold and ferme. 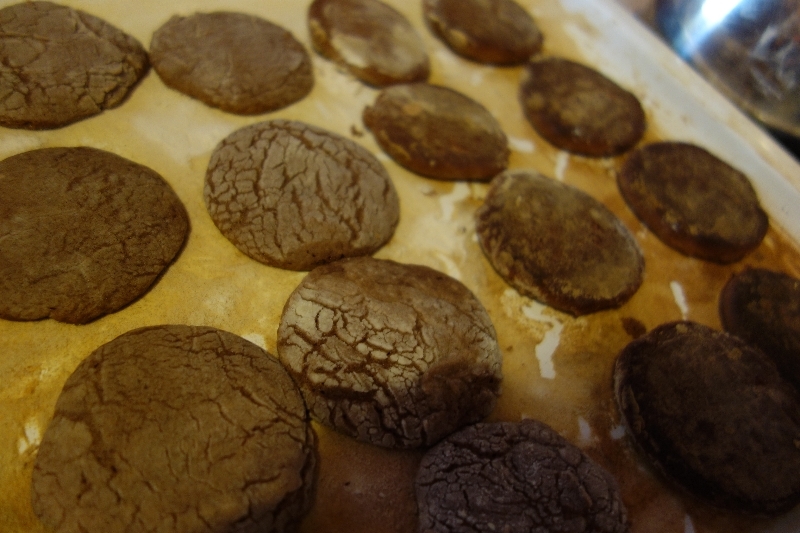 Preheat your oven to 200 ° C.
3) Remove the dough and spread it on a floured surface for up to 5 mm thick. 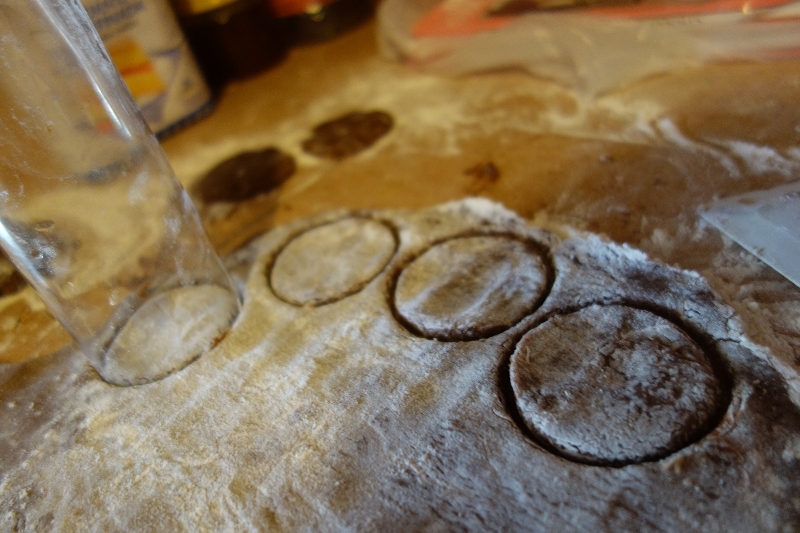 Then cut out circles with a glass of diameter of approximately 5 cm and then place them on a greased plate. 5) Bake for 5 minutes then remove and let cool down. 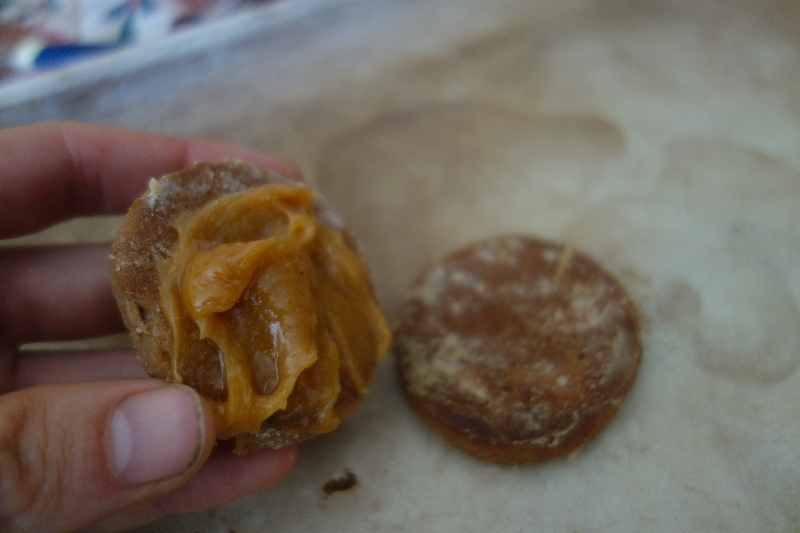 6) Merge two cookies with Duce de leche in the middle. 7) Arrange alfaroles on a grid. Melt the chocolate and pour it on alfaroles. Let cool down. Your turn to taste ! 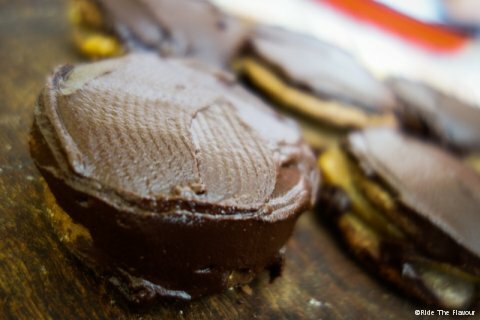 PS: So how are these homemade alfajores ? To know whether they are as good as “Capitan del Espacio”, you should make a trip to Buenos Aires. And not just anywhere … Who knows why, the company distributes its alfojores the South of the city!